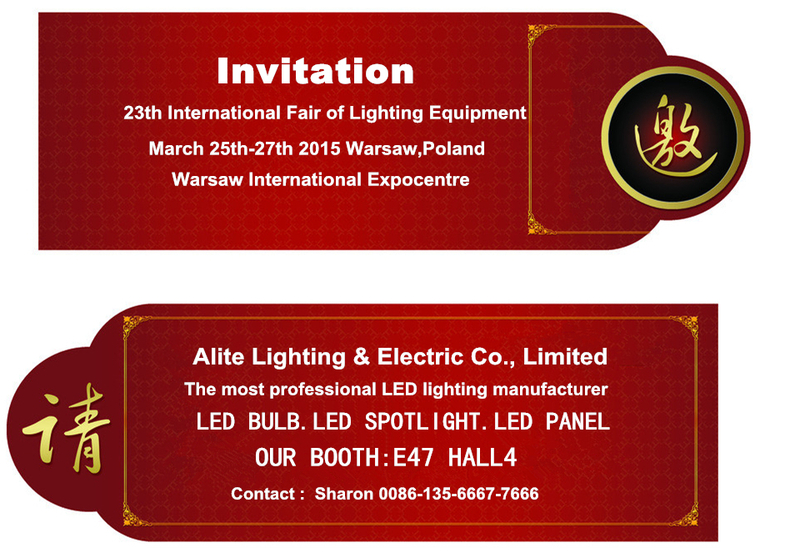 Alite Lighting &Electric Co., Ltd will be attending the 2015 Poland Warsaw International Expoentre in March! The LED industry has been developing rapidly in the Poland market. On one hand, the market is demanding for high quality, innovative LED products, on the other hand, because of the fast speed of innovation, buyers and consumers are looking for industry experts that can guide them throughout the purchasing process. Alite Lighting has been focusing on the global lighting industry for 9 years. We have worked with numerous international clients, providing them with tailored lighting solutions to their markets. Come visit our booth – NO.E44 HALL4 for more product and pricing information! For general information about Alite Lighting, please visit our official website. For other inquires, please contact us by phone: +86-576-8886-1388. Should you have any questions, please do not hesitate to contact us via info@ledalite.com. Our regional manager will respond to you within 24hrs. Next：Alite Lighting Will See You At the 117th Canton Fair!